(Please see first entry below.) This week at Less Is More Chrissie and Mandi have provided a simple sketch for us to follow. As I have said below, well at first it seemed simple, until I started to think what to add into the panel. I wanted to use two completely different techniques for my Guy and Gal card. 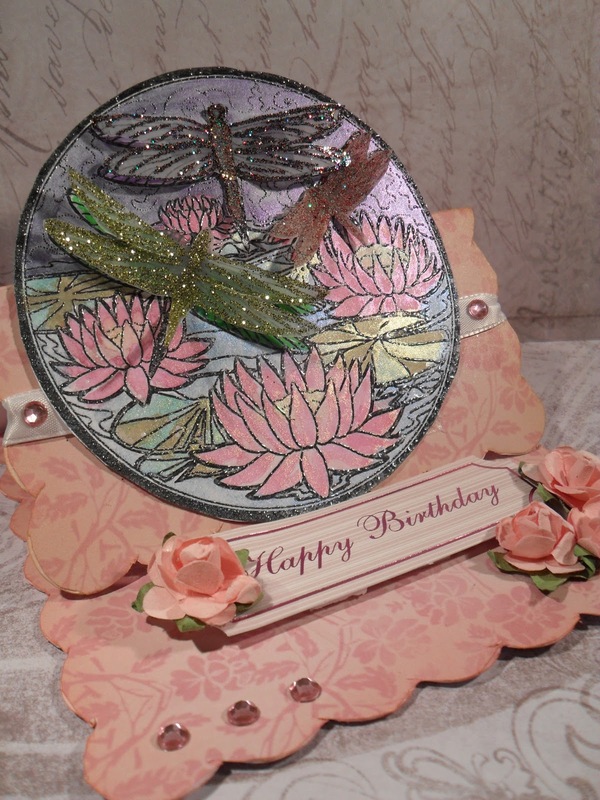 Materials used :-Creative Expressions crackle stamp - Versamark - Clear embossing powder - heated. 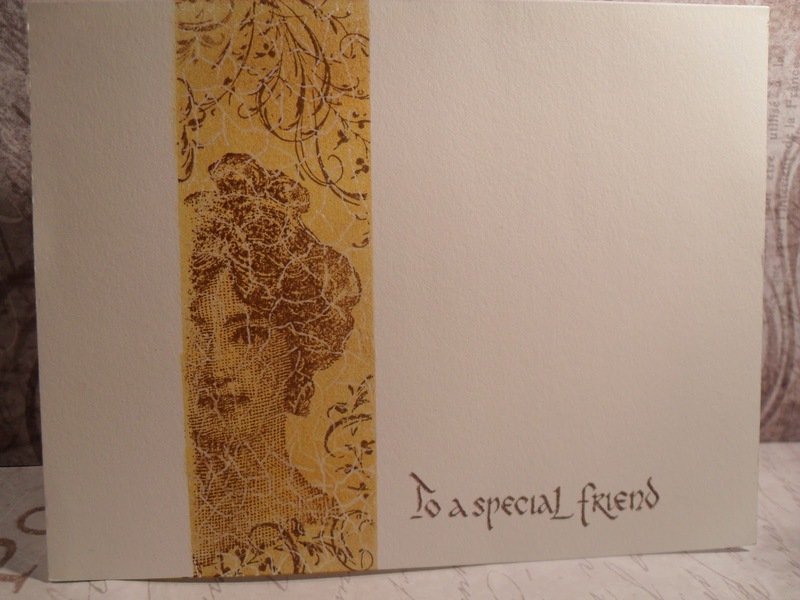 TH Distress inks brushed over the resisted first layer, Mustard Seed, Scattered Straw and Wild Honey. 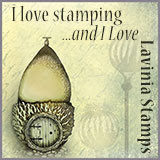 Stamps used Lady and swirls are both La Blanche. Ink to stamp - TH Vintage Photo. 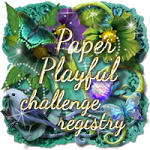 For the next two weeks, at Fashionable Stamping Challenges, we would like to see a project for a guy. 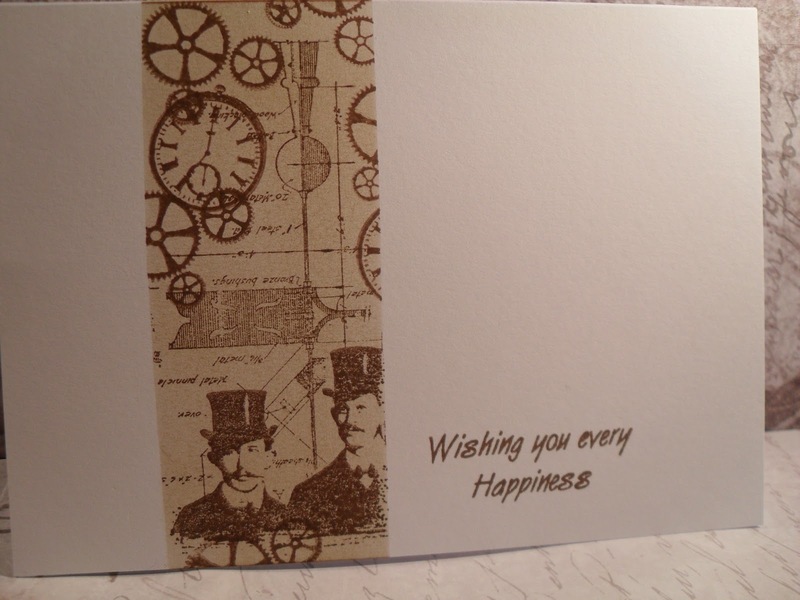 It could be a Valentine card, or any other card or project for a guy in mind. 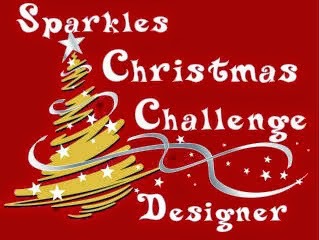 Our sponsor Cottage Crafts is now offering the overall winner a chance to choose their own prize to a limit of 7euros. 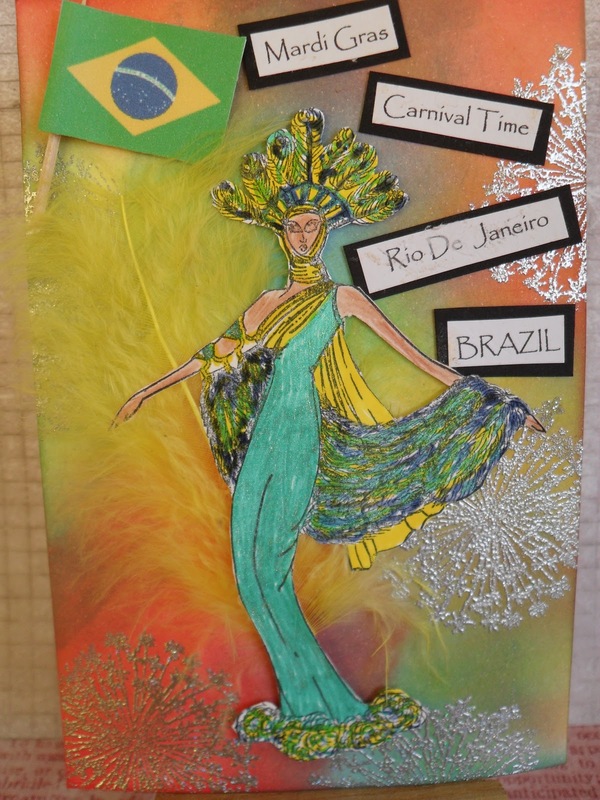 Please pop over and take a look at the amazing catwalk. The Fashionettes have again produced some amazing pieces for your pleasure. 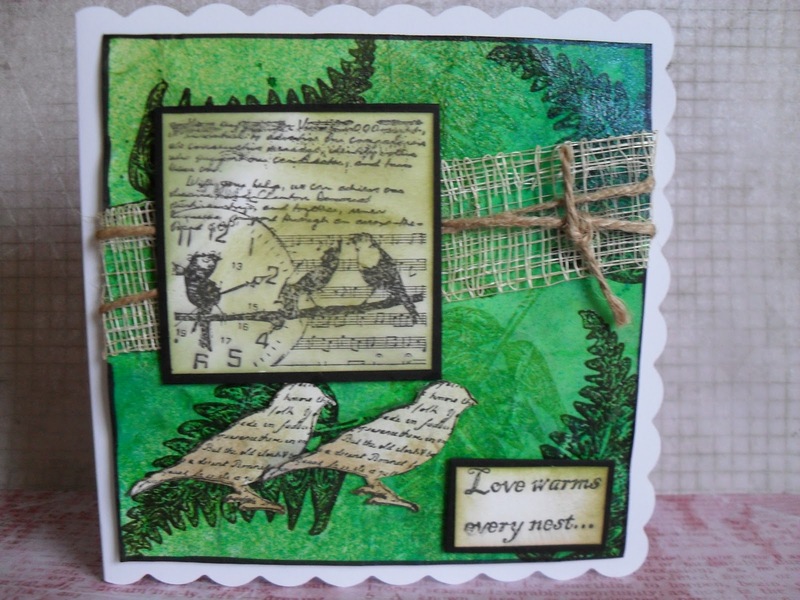 My husband adores the great outdoors, he is a keen bird watcher, so the type of card I usually make for him is of the countryside. 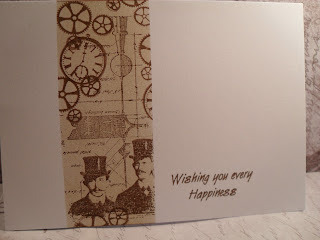 This card is not only using Sheena Douglass's stamps but is similar to one she recently made on C&C TV. 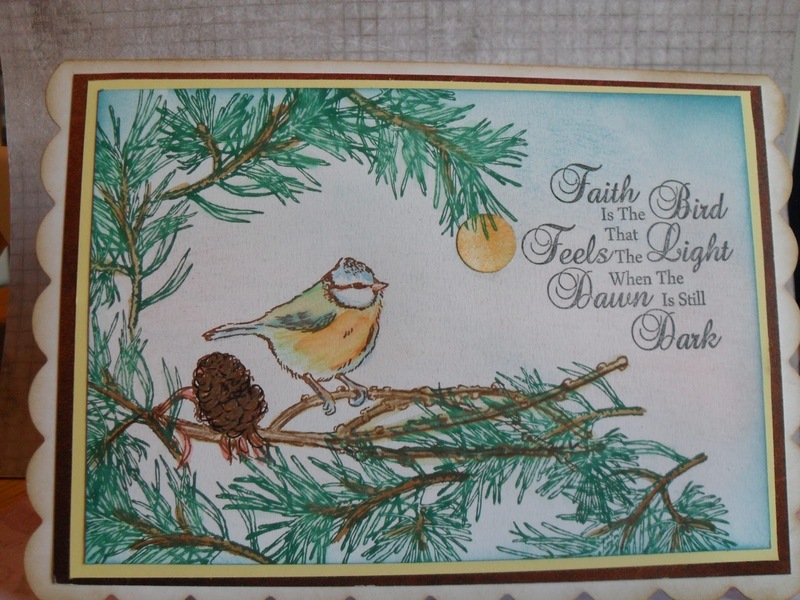 The stamps are the Faith set in the Sketchy series. 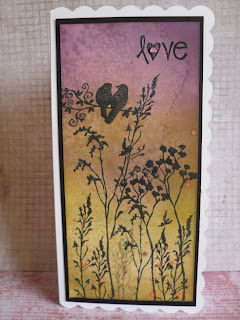 I used TH Distress inks to add all of the colour, by blending, directly stamping and as a watercolour. 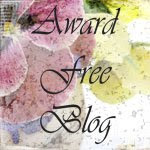 I look forward to visiting your blog to see your projects for the guys in your life. Remember, STAMPING must be a main feature and be clearly seen. 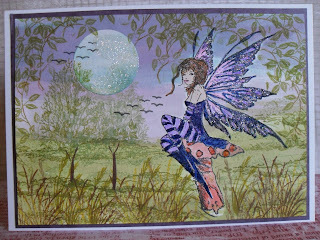 Have fun, thank you to any who visit and comment on my card, your ocmments are always appreciated. I am feeling jet lagged, the distances we are travelling in such a short time, are amazing and exciting. 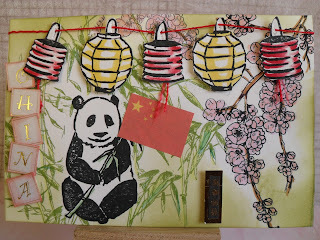 China, I have changed my mind so many times, I'm still not thrilled with my final result, it is a mix up of my ideas. The national flower for China was agreed in 1964 to be the Plum Blossom. The giant Panda is indigenous to Central mountainous areas of China. They live in highly dense forest areas, their staple diet is bamboo and the leaves. China regularly re-introduce Pandas back into their natural habitat. I have many Orental stamps but it wasn't until I started this project I realised probably 90% are Japanese. ﻿Continuing the story of Hermione and her parents. 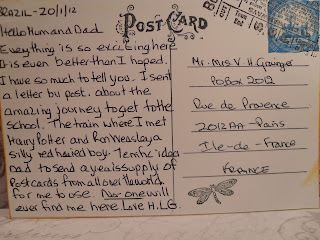 "Hello Dearest - Father and I are thrilled with your idea to start using owl post. All of this interaction with the animal and birds kingdom is above us. 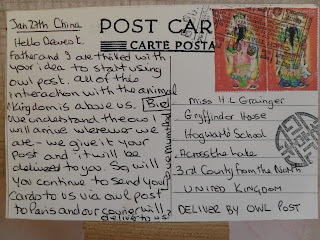 We understand the owl will arrive wherever we are - we give it your post and it will be delivered to you. 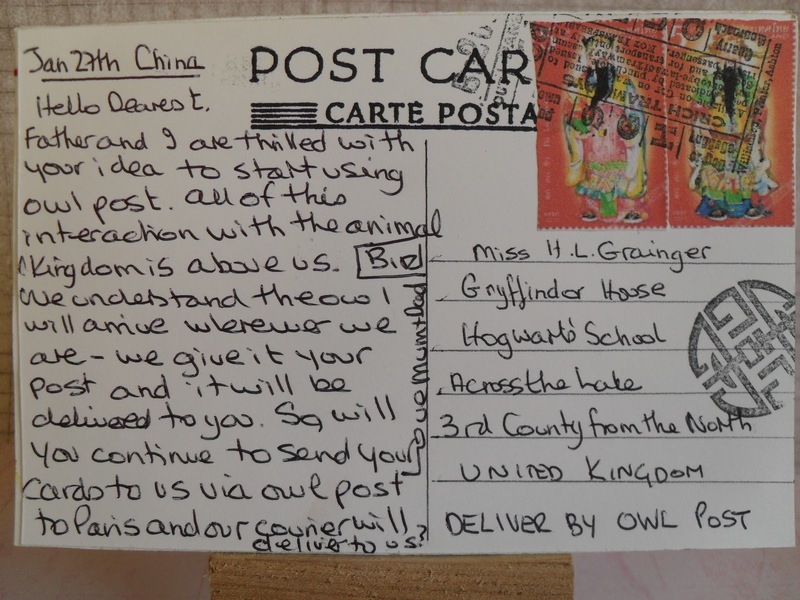 So will you continue to send your cards to us via owl post to Paris and then our courier will deliver to us? Love from Mum and Dad"
Gingersnaps Creations 136 is Glorious Greens. I have been having fun again getting inky and in a good old mess. 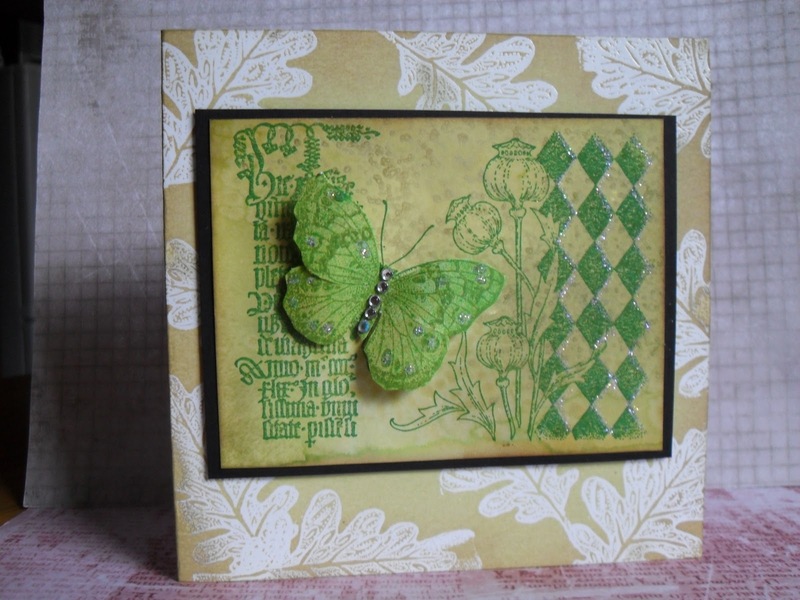 I started with a piece of white A4 card, which I then blended with a mixture of TH distress inks, including a small area I only coloured with Peeled Paint and Shabby Shutters, both shades of green. I sprayed water all over the full card and sprinkled salt over all of the card. I allowed it to dry, then became impatient and resorted to the heat gun. When dry brushed off all of the salt. 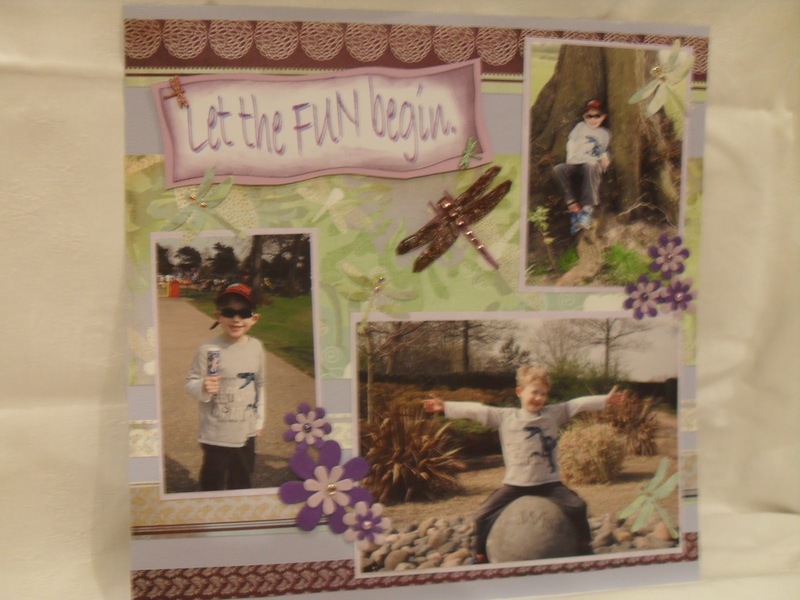 I used Memento Cottage Ivy to stamp the Elusive images collage stamp. 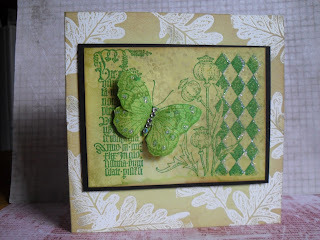 I re-stamped the butterfly, spritzed it with some Cosmic Shimmer green mica. Added some Diamante glitter and a few crystal gems. I attached the second butterfly onto the original with some silicone type glue. I also added some glitter to part of the harlequin area to give more light. 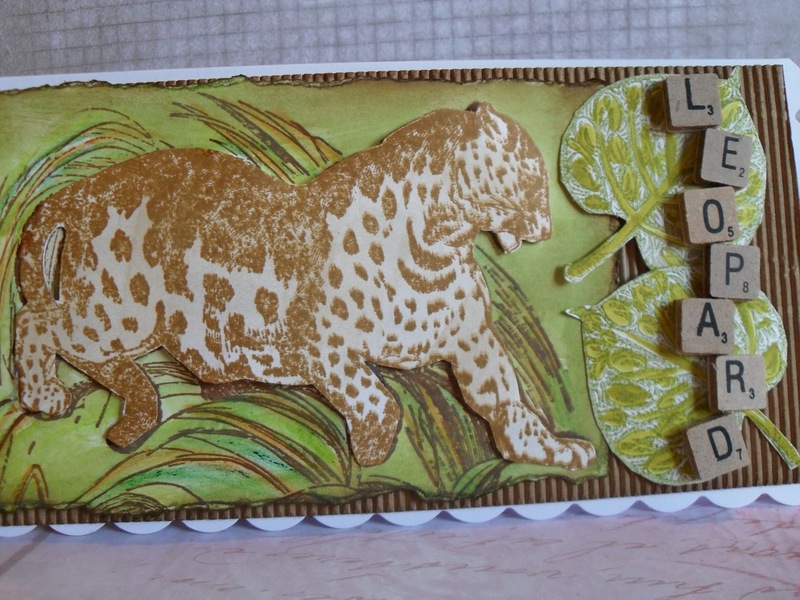 The completed topper was added to a card with a resist technique leaf background on Crushed Olive. 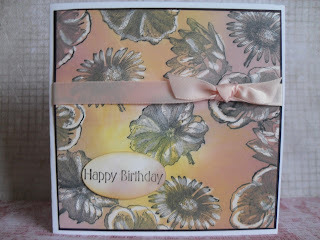 I would not normally make a card with just the one colour but I am pleased with this result. I do hope you like it too. Thanks for visiting and of course for any comments you may leave, for which I am very thankful. 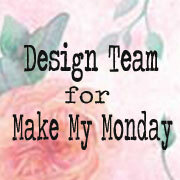 ﻿Continuing our theme for January, which is NATURE, this week we are asking for Flowers and Leaves, at Make My Monday. I'm sure this will be a popular choice. As long as it has flowers and leaves, you can make any project, with any medium, we don't ask for anything other than this, other than you having fun. Please pop over to the blog for the team have made some very pretty projects. I used a favourite old stamp from Elusive Images, as was, now Chocolate Baroque, the script and rose stamp. 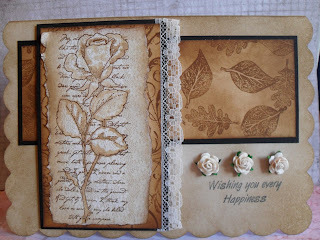 I stamped flourishes behind and used Vintage Photo to stamp the rose, I did a little watercolouring to add some shading. 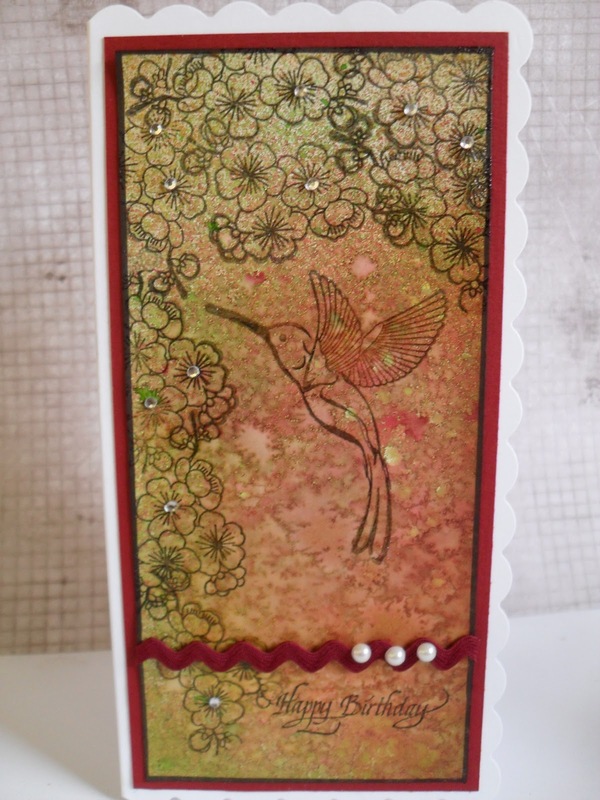 The leaves on the horizontal panel are from a leaves set from Sheena Douglass. 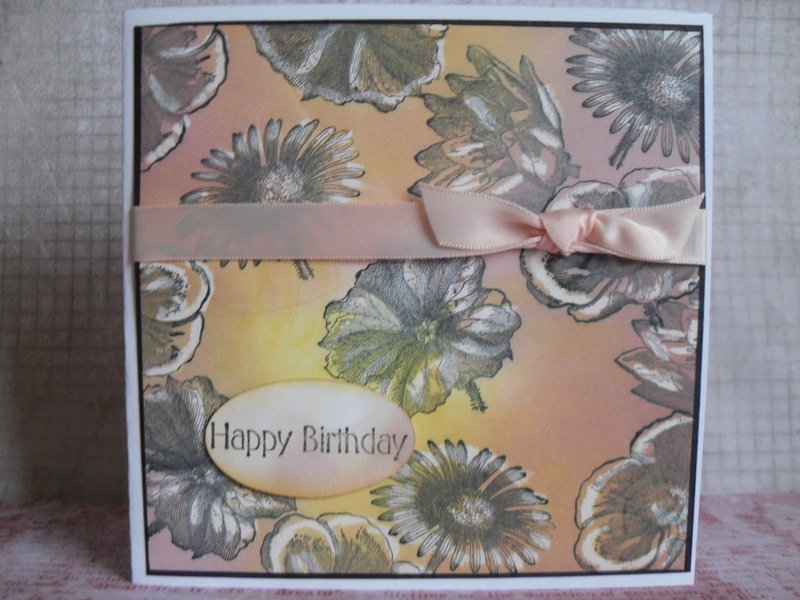 I covered the white card with Frayed Burlap to make it all look more Shabby Chic. I look forward to visiting you over the next week. This is my second card today, please check for the one below "Birds of a Feather"-thanks. 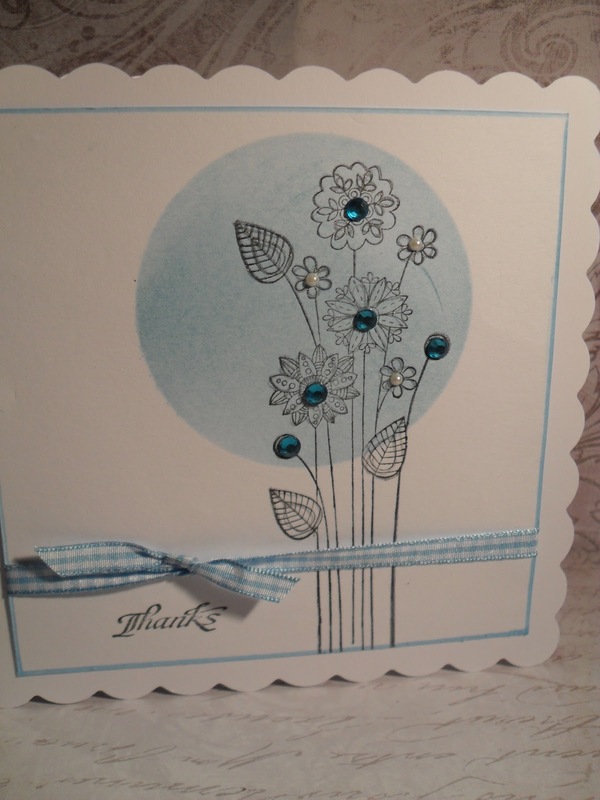 Crafty Cardmaker's have asked us to make a card with flowers if we wish, but we aren't allowed to add any flower embellishments. Cool! Saves on postage. 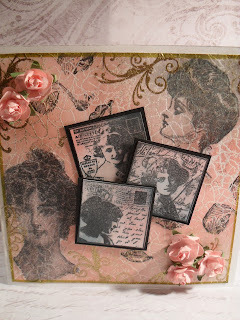 Stamped with Memento Tuxedo Black, the four flower stamps are in a Hero Arts set called Poetic Petals, it's an old but favourite purchase from E Bay. 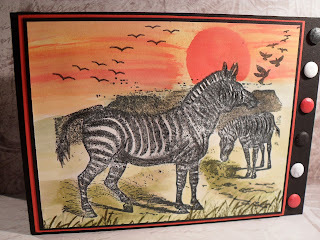 Using a white wax crayon, one from a child's pack will do, I added white touches to give a resist. (Wax Resist). 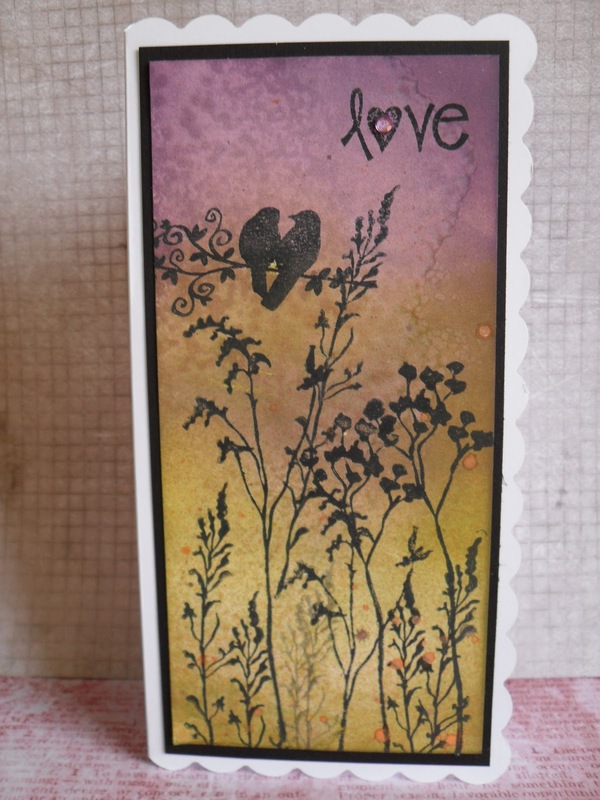 I then blended the background with Milled Lavender, Victorian Velvet, Scattered Straw and Mustard Seed. It's amazing how white the sections become after you have buffed with a soft clean paper hankie. Added a sentiment and a toning piece of ribbon. 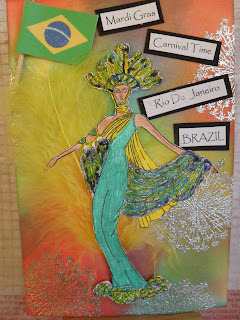 Rainbow Lady's Challenge blog my card entry for The Many Faces of Women. I really am not a pink girl, but whenever I want to make something soft and feminine I choose pink. 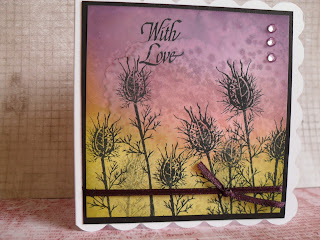 I started by making a crackled resist background, used Milled Lavender and Worn Lipstick to cover the card. 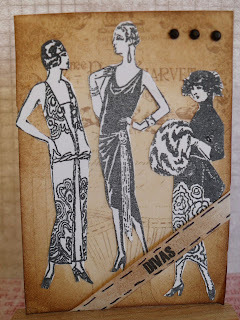 Stamped two ladies onto tissue paper and pasted them onto the card. 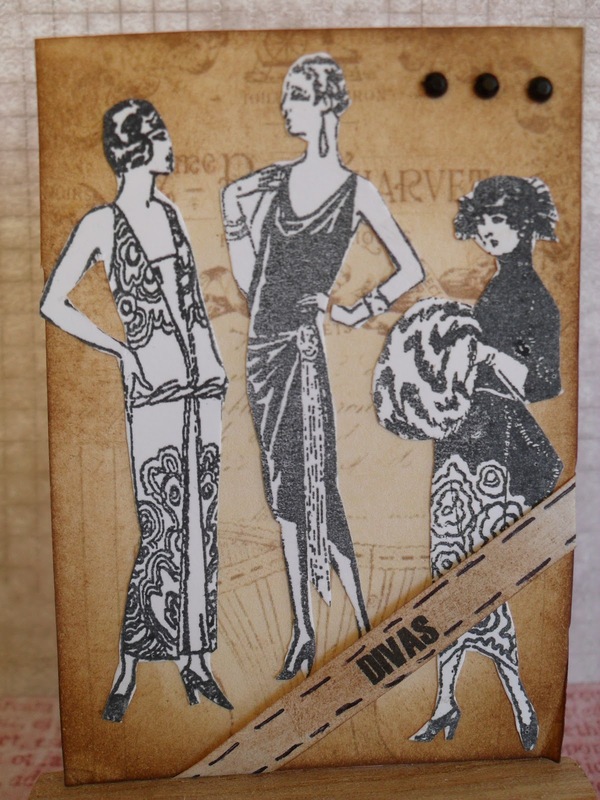 I then stamped directly onto the card a stamp showing part of a ladie's face. Used a small swirl stamp and embossed with Wow! 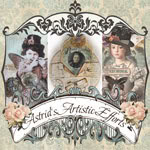 Gold E.P. 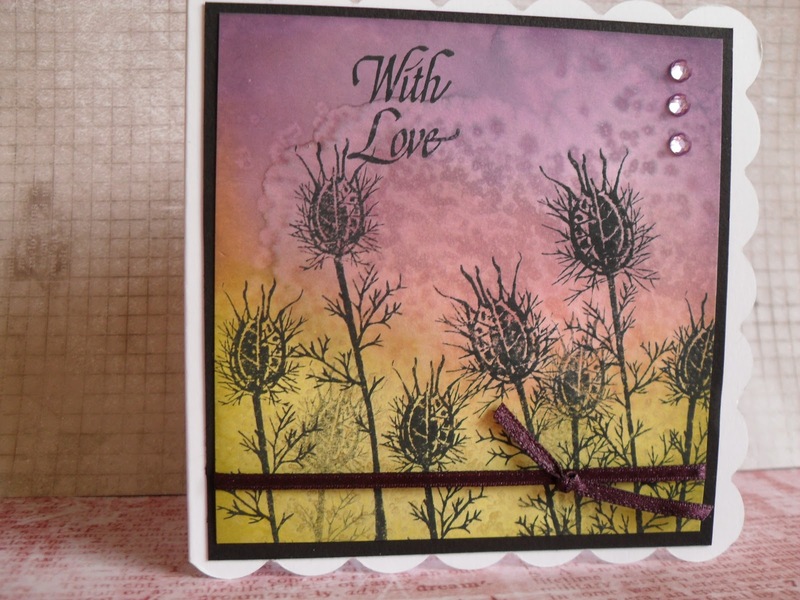 Finally I stamped and coloured 3 of the lovely ladies to add to the centre of the card. 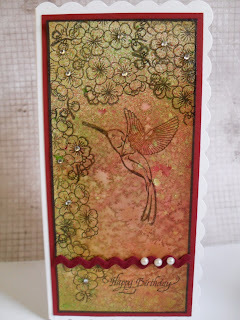 I went around the edges with a gold pen, then added the small pink rosebuds. Lady at bottom left from La Blanche stamps. 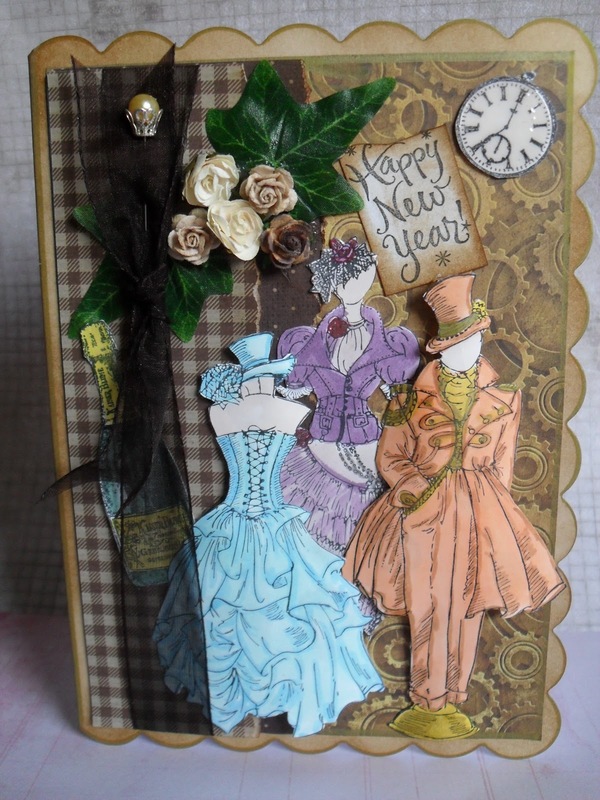 3 Centre ladies from Crafty Individuals. P.S. I would like to welcome my recent last four followers, Helen, My Heart Exposed, Supersnooks 13, Jannastamps and The Lady of Lost Times, you all sound most elegant, thanks so much for bringing my total of followers to 120. Your all awesome. slip out. I soon realised I preffered to be able to see both sides as I and others will be looking through in time to come, especially when it is full. 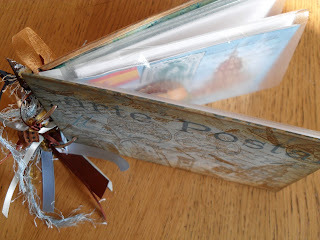 i have used various travel stamps, back and front. Two large rings with lots of blue and brown shades of ribbons. Spain - My visions of the country are , spectacular old churches, Saville oranges, Spanish Equestrian School, Royal Family and Spanish Flamenco dancing - hence the decorated fan. What makes you think I am not a lying on the beach, type of person? Spain Jan. 13th. -----Hello dearest, pleased all your books and equipment arrived safely at school. Of course being Muggles, we had great difficulty acquiring some of them, until a school govenor told us you could go to a place called Diagon Alley, I know you will enjoy the school, let us know about it. We are well. Love Mum and Dad. up-loaded to her blog. I am hoping this will soon be resolved, for I am about to tear my hair out and have a screaming fit. 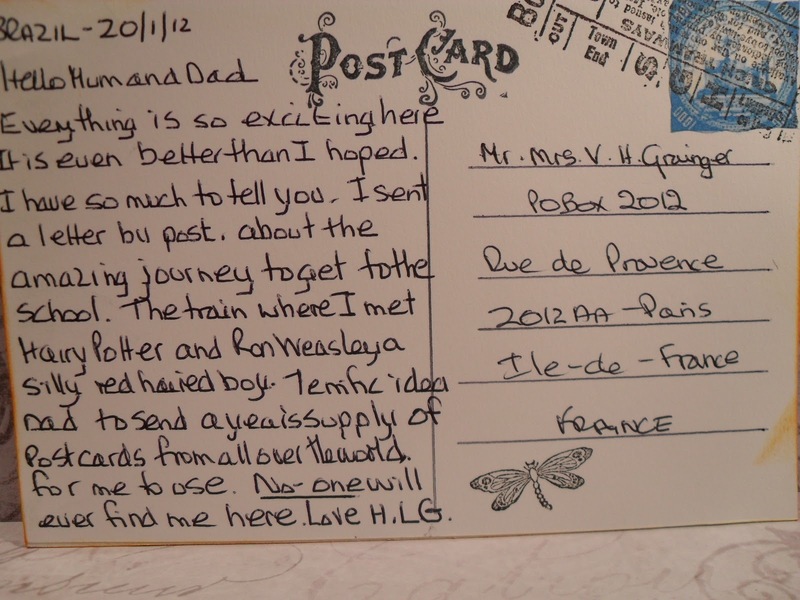 I am looking forward to the next country and to further developing what is to come with Hermione and her parents. I can see I have one comment, but as I suspected I can't read it. Could the sender please send me an e mail, addy in the right side bar. Many thanks. 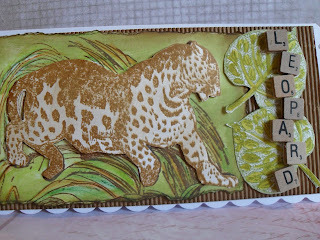 This week over on Try It On Tuesday, it is the turn for us to make a TAG. The additional requirement we would like to see is a Resisit Technique. 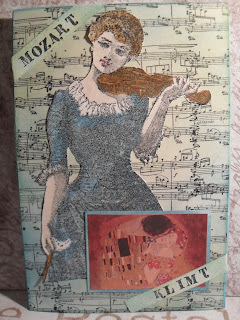 I first stamped on the tag with a music stamp, though I admit it doesn't show too well, maybe not suitable as a resist. I heat embossed then covered the tag with TH Broken China, then edged it with TH Chipped Sapphire. 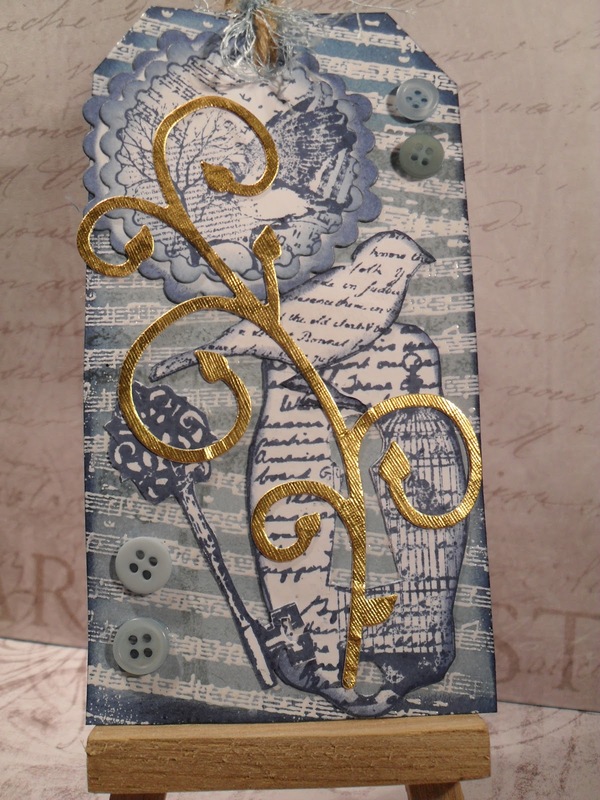 I stamped each of the additional elements direct to paper with the Chipped Sapphire, then cut each one out and glued to the tag, I again edged each with the dark blue. 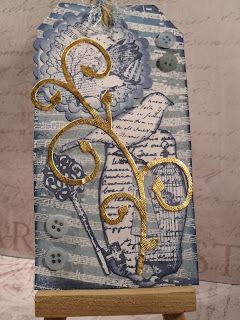 I completed the tag, adding a gold die cut, two buttons to the top and bottom and some blue shaded fibre and garden twine. 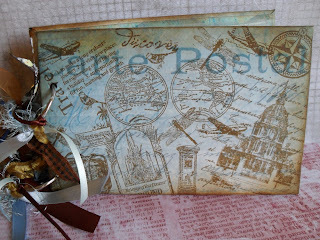 Stamps used are from the Papermania Urban collection. This week is a tinge of saddness, for this is my last entry to Try it On Tuesdays, as a Design Team member, I have spent a month or two short of two years, have greatly enjoyed the experience, I have learnt many new crafting techniques and wish everyone continued success. I have been eagerly awaiting the start of Darcy's Postcard Challenge for 2012. I have been unsure on what, artistically, was wanted, and as usual my imaginations were above what actually is required, so I needn't have felt intimidated and so unsure. My ideas have been spot on. So now I know for sure, I am going to get on with my first postcard from Austria. 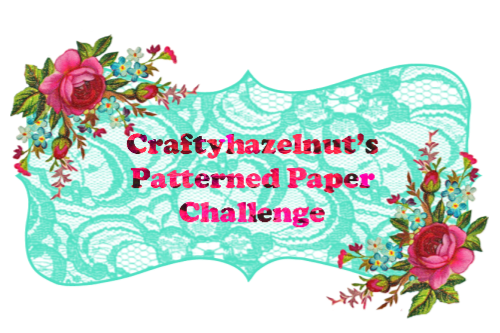 I hope to be back later today to add to this post. 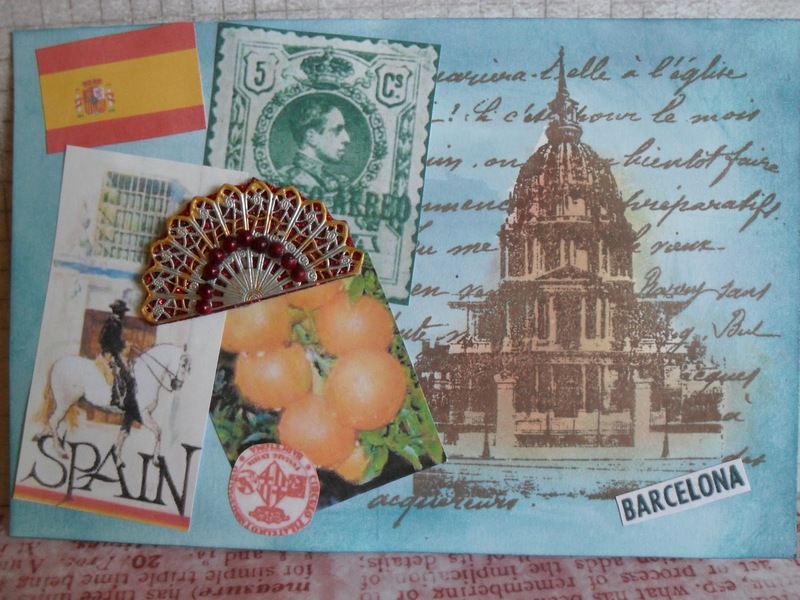 Now anyone who is not involved in Darcy's Postcard Challenge will think, Cazro has at last LOST IT! Not at all, I am going to have fun finding out more about my characters and of the many countries to be visited. Please pop back later to see my first postcard. 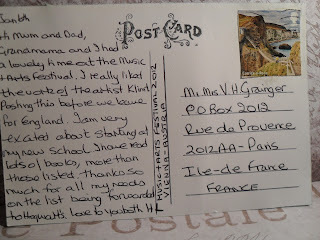 My postcard reads down the centre Music and Arts Festival 2012 Vienna - Austria. 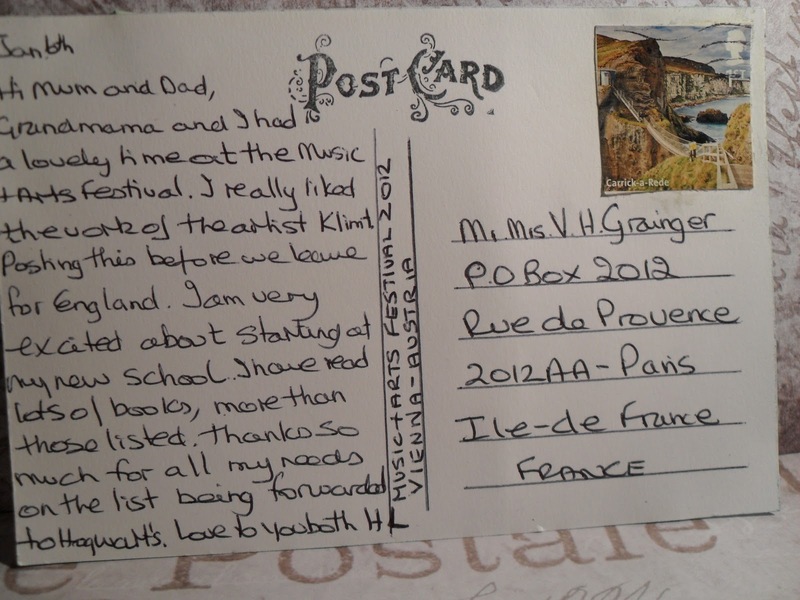 The message reads :- "Jan 6th - Hi Mum, Grandmama, and I had a lovely time at the Music & Arts Festival. I really liked the work of the artist Klimt. Posting this before we leave for England. I am very excited about starting at my new school. I have read lots of books, more than those on the list. 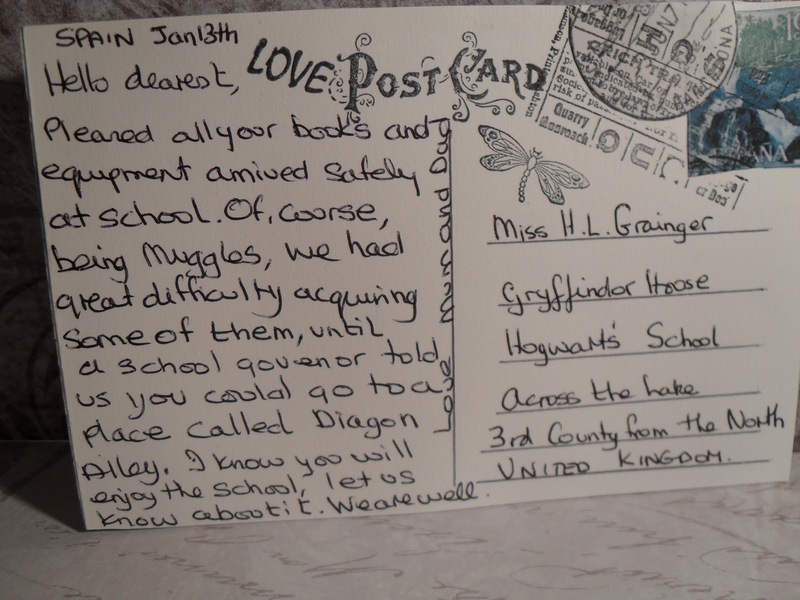 Thanks so much for all my needs on the list being forwarded to Hogwart's. Love to you both. H.L.G." 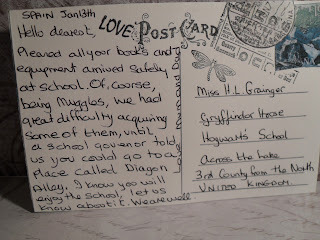 I am now wondering where Hermione's parents will be next week for them to send their reply.